More and more people today are looking for paths out of ill health and uncomfortable symptoms. One vital key to unlock the road back to vibrant health and well being lies in choosing the foods that are good for you and you alone. With so much information out there on what you should and should not be eating, it is easy to become confused and overwhelmed. Which is the best “diet” for you!!!??? Kinesiology takes away any confusion by using the most amazing device known to humanity…. Your Body!!! Using gentle muscle testing, Kinesiology can get bio-feedback from your body about which specific foods you should be avoiding and which foods are benefiting you the most, giving you clear, reliable answers about your unique dietary needs. It can also indicate where there may be some vitamin and mineral deficiencies from a previously poor diet and assess what supplements you need to take to ensure the fastest possible recovery form your condition and ensure a healthy future too! I am a Professional Kinesiologist working in Galway City in the west of Ireland and I have clients come to be treated for many different ailments ranging from skin problems, headaches, and digestive problems to tiredness back problems and depression to name but a few. I am time and time again amazed at how much of an improvement can be made in so many conditions just by identifying and eliminating the foods that the client is “sensitive” to. Food Allergy vrs Food Sensitivity. Food testing with Kinesiology identifies both food allergies and sensitivities. An allergy to a specific food/substance is where there is often a very immediate noticeable reaction like a rash for example. A sensitivity on the other hand still affects your health and well being , but it is on a more subtle level. It can also take a few days for the symptoms of the sensitivity to manifest. Symptoms of a food sensitivity can range from just feeling tired and out of sorts, to Irritable bowel syndrome, headaches, exhaustion, to name but a few. 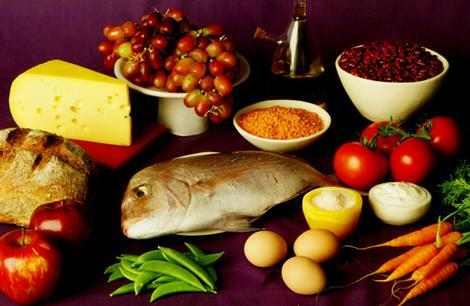 A kinesiology treatment will easily identify both food allergies and food sensitivities. You will then be empowered with the knowledge of which foods to avoid to ensure your symptoms will soon subside. I hope to get a treatment from you within a couple of weeks and was wondering how much do you charge for a session in this economic climate? Thank you for your inquiry. A full treatment lasts 1 + 1/2 hours and costs €70. I will be unavailable for treatments from Wednesday 21st July until Monday 2nd of August. If you would like to make an appointment or if you have any further questions, you can contact me on 085 272 4026. I look forward to the opportunity of helping you with your health and well being. I am wondering if you would have any appointment for next week for food intolerance testing? I am just home on holidays and have been having a lot of tummy troubles for the last few months. Have been tested for fructose and lactose intolerance using the breath test but am interested in finding out if there is something else that may be causing inflammation. I can certainly test you for foods and also see if there may be anything else going on that needs attention. Here is a list of my availability next week. Tue 8th at 3.30, 4.45. Wed 9th at 2.15, 4.45. Thur 10th at 2.15, 4.45. Would any of those be suitable?